This Clock Sign is a great tool to create business value among your customers, clients, and visitors. 'Sorry We Missed You' Sign has a clock design along with two plastic hands that can be manually adjusted to display a time when you'll be available again. 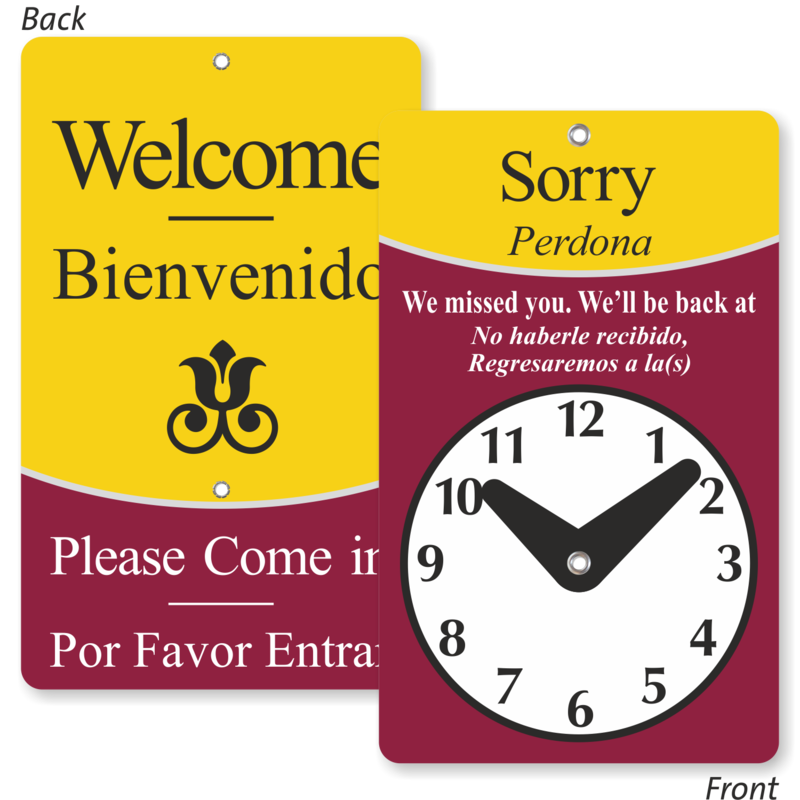 • At all other times, you can turn the sign to show "Welcome Please Come In" message in English and Spanish embellished with a beautiful motif. 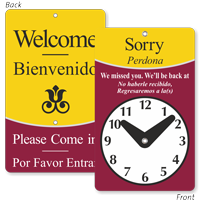 • Be Back Clock Sign is designed in two colors for more attraction. • Bilingual signs reach a larger audience. • Plastic sign comes with a metal eyelet, attachment hook, and suction cup. Great for application on glass and lot of other surfaces. • 7.75 inches x 4.75 inches, tear-proof sign is laminated for extra durability.